The best dog breeds for children come in a variety of sizes, shapes, colors and personalities... and there's no 'one size fits all' winner. The good news is that no matter which pooch you choose to add to your family, your kids are going to LOVE him (or her) and benefit from having a canine playmate and confidante. Although there's no definitive 'list' that can tell you which dog is going to be perfect for you and your kids, there are some popular breeds which have, over time, proven that they make great family pets. 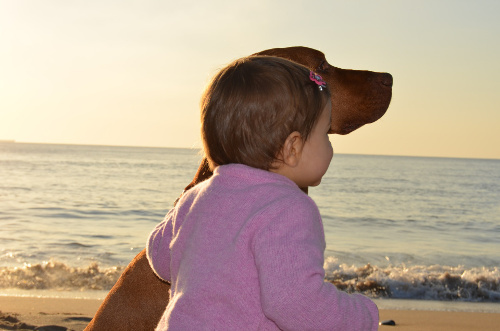 Recent research from the University of Cambridge has found that children often get along better with their canine siblings than with their human ones! They also reap the benefits of having a non-judgmental, unconditionally loving creature to share life's ups and downs with. This is just more evidence of the positive psychological benefits pets have on we humans lucky enough to share our lives with them. 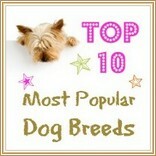 On this page I've featured the Top 10 Family Dogs as approved by PetMD. Below this list you'll find help picking a breed according your children's age range. There's also a section on the best dogs for kids with allergies. Gentle, affectionate, not overly energetic. Gets along well with most people and pets. 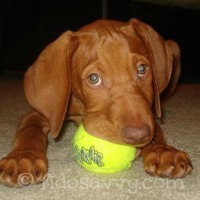 May be bossy with other dogs if not trained or socialized properly. Happy, friendly, lively little dog who loves to be in on the 'action'. Has an independent mind and can take off 'chasing a scent', so needs fenced yard. Throw away your preconceptions! This is a happy, friendly, active little dog who loves people. Tendency to be bossy if not trained/socialized properly. 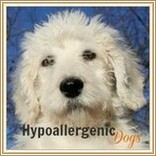 Can experience heart problems, skin allergies, mange and occasional deafness. Bright, intelligent, active and affectionate. Like all herding breeds this one needs plenty of exercise and a job to do. Can be a little nervous. Skin, eye, epilepsy and thyroid problems possible. A huge dog with a big heart and gentle nature. Sweet, intelligent and trainable. Loves the water. Definitely drools, and sheds. Can suffer from big-dog joint problems and skin issues. Lively, happy, energetic, loving and gentle. Needs plenty of exercise. Can be a little sensitive/anxious at times. May be prone to allergies, cancer, eye problems and bone/joint issues. Outgoing, friendly, lively and playful. 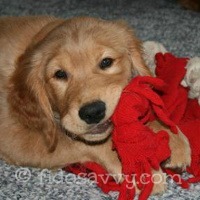 Tons of energy and puppy playfulness even as an adult. Gets along well with dogs and people. May suffer from eye problems, osteosarcoma and hip dysplasia. Very smart breed, quick learners. Friendly and loving, but may be hesitant around strangers. Can be anxious/nervous/prone to loneliness. Friendly, sociable and even-tempered. Active and easy to train. Gets along with most people, dogs and pets. 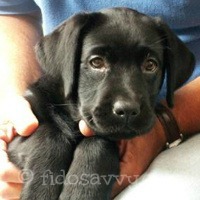 Similar to the Lab - a friendly, happy, easy-going dog who likes to be active and is eager to please. Mixed breed dogs come in all shapes, sizes and personalities. They're usually well-balanced, happy and friendly. Generally considerably healthier overall than purebred dogs. 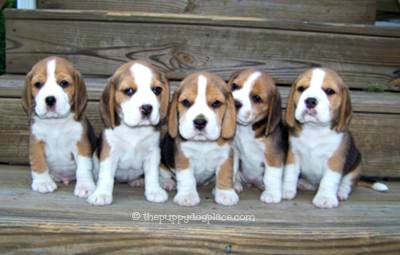 It pays to remember that every pup is unique and has their own, individual personality, and that just because your new pup is of a particular breed that doesn't mean he'll be exactly like any other pup of the same breed... or even from the same litter! Look for a breed whose breed characteristics mesh with your family's home and lifestyle and you'll find that your two-legged and four-legged children build a happy, loving relationship that lasts a lifetime. Although all the breeds featured above are likely to make a great pet for your family, there are lots of others that fit the bill as well. But because all families are different, not every child-friendly breed is right for you. When you're looking for the best dog breeds for children who are still toddlers, don't assume a small or tiny breed fits the bill. 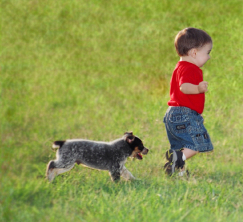 It may seem logical at first (ie small child therefore small dog), but many little dogs are very delicate and very young children can easily injure, or even kill, a tiny dog by dropping them, stepping (or falling!) on them, shutting them in a door etc. Obviously totally accidental, but no less harmful. There are lots of different types of small dogs though, so don't rule out a breed just because it weighs less than 10lbs or so - consider the whole package. Conversely, the very large or giant breeds aren't necessarily the best choice either. Large breed puppies are pretty sturdy and robust and the scenario above is turned on it's head, because some large to giant breed dogs are very laid back, easy going and tolerant pets but their sheer size can make them a potential hazard to very small/young children. A Mastiff could quite easily knock down your toddler while trying to play, or say 'hello'. 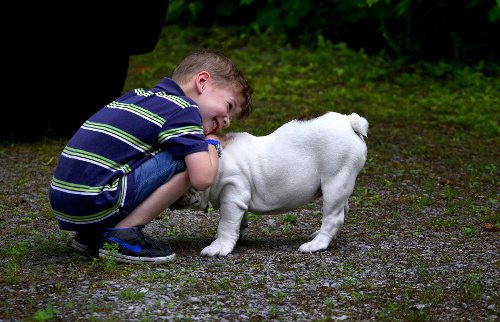 It's difficult to stop very young children from poking, prodding or pulling at a puppy, or from smothering him (perhaps literally) with hugs and kisses. A mid-sized breed known for their calm, confident and tolerant temperament is the best choice of dog breed for children of this age. Grade school kids are bigger, stronger and better co-ordinated than pre-schoolers plus they can understand and follow puppy-care guidelines and show empathy. 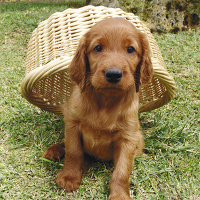 All in all, choosing the best dog breeds for children of this age is quite a bit easier! 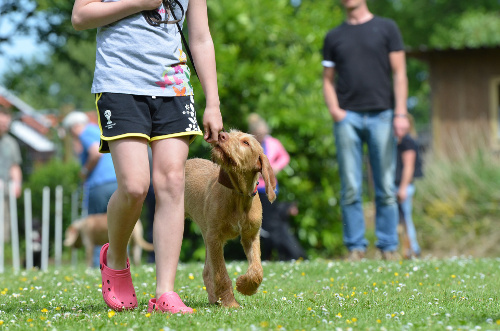 You don't need to rule out breeds on either end of the size scale, very small breeds and very large ones can both be suitable for a family with children aged from 6 - 18. 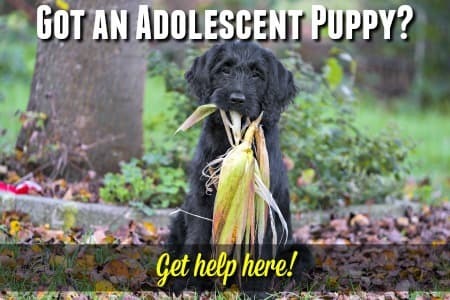 If your children are a bit older and you have the room for a big dog there are lots of good choices, including popular breeds such Labrador Retrievers, Golden Retrievers and German Shepherds - plus those you might not see as much such as Great Pyrenees, Old English Sheepdogs, Great Danes or Mastiffs. In this situation taking a close look at your family's activity level, lifestyle and home are the best way to make sure that you make the right decision. If you're active as a family and enjoy camping/hiking/fishing/bike-riding/sports/horseback-riding etc., then you should can look at fairly high-energy breeds and working dogs. 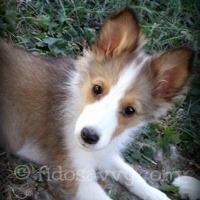 If you have grade-school to teenage children, have plenty of space and time to exercise and 'work' with a pup, and are interested in dog-related sports such as Agility, Obedience, Flyball etc., then a Border Collie puppy (or one from another energetic breed) could be the perfect match for you. If you're a more laid-back, indoor-loving family then the lower energy breeds, or some of the smaller lap-dogs may be a better fit. There's no such thing as an 'allergy-free dog', but there are certain breeds that are more suitable in this sort of situation. People can be allergic to dog hair, dog dander and dog saliva - so even hairless dog breeds can still trigger a reaction, but less common and less likely to be severe. There are only a handful of hairless dogs, these include American Hairless Terrier and the Chinese Crested, but there are also more 'mainstream' dog breeds whose coat is considered to be hypoallergenic. 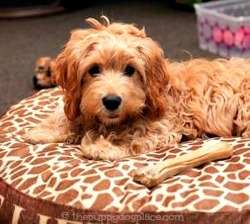 These include dog breeds with long silky hair, those with certain curly coats, and some hybrid or designer dog breeds. I've tried to find something for everyone on this page,so if you've managed to choose a breed (or a shortlist of several potential 'winners') it's now time to move on to searching for that perfect puppy! It's always important to be sure to buy your puppy from a reputable breeder and always try to see the parents of the puppies to be sure that they're sound physically and temperamentally. 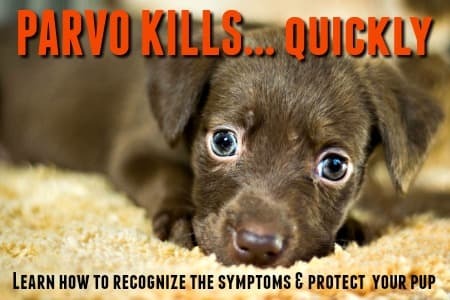 Then you need to know how to pick the right puppy and how to recognize a healthy puppy so that you don't take home one who is sick... that's a recipe for heartbreak all around. If you're a first-time puppy parent (or it's been a while!) you might be a little unsure of what to expect during the first few days. 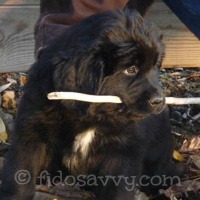 Visit my Bringing Home A New Puppy page to make those early days easier, and less worrying. Don't forget that there are also tons of wonderful dogs (and pups) in shelters and pounds across the country, who desperately need new homes and families of their very own. Learn about puppy and dog adoption and consider it if you can, you will literally be saving a life. 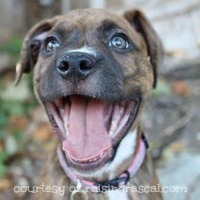 These dog rescue organizations are a great place to start. Remember that adult dogs can also make excellent pets for kids too. They have the added benefit to you of skipping the house-training, chewing everything and running amok puppy stage!! This is a great 'Puppy Owners Manual' for anyone who has kids and is wanting to add a dog to the mix (or vice versa!). An easy to follow, reader-friendly guide which covers all the basics. Including showing new puppy owners how to learn about dog behavior, how to communicate with and socialize their new family member. Choosing the best dog breed isn't the only task if you're adding a new pup to your home, this book will guide you through the next stages. Recommended! There are lots more excellent books that can help you and your kids prepare for dog ownership, and also explore training methods, tricks and other fun stuff. Kids and dogs can make the very best partners, but it's up to you to help them all learn how to show love and respect to each other.